How much do Bifold doors cost & what affects the cost of a bifold door? Both of the questions are interlinked and it’s useful to know at outset what factors are going to have an impact on your new bifold doors cost. Size of the door set. Material used to construct the doors & frames. After these, you would have other items that also influence the final cost, but to a lesser extent. Energy Rating for the bifold door installation – the better the rating (A or A+), the more expensive it’s likely to be. Colour choice – timber bifold doors are not so much affected by this option. 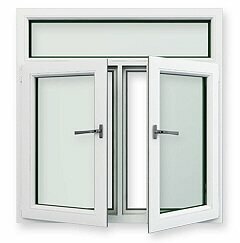 But both UPVC and Aluminium options can have an extra cost for coloured versions. Glazing – Double, Triple, tempered or laminated glazing are all priced differently. The way the doors are “hung”. Top & bottom hung doors have different price points. Low level thresholds can be more expensive than regular raised thresholds. Door furniture – prices vary depending on quality. You could also find a wide difference in pricing for Local or “big name” suppliers. Don’t forget that most “off the shelf” prices won’t take into consideration the true nature of the work needed at your property to install new windows & doors . Especially if some modification of the exiting building needs to be done to accommodate the door. 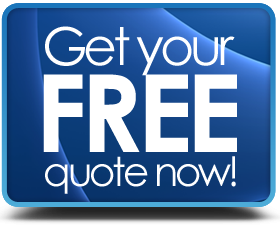 Unless you have had the prices worked out and quoted for, after having your home measured-up on site, then prices you see online (including the ones we have gathered together here) are only going to give you a general idea of the cost of a particular door set. What type of Bifold Doors are there & which are the best? We can look at each material to see what the advantages, or disadvantages, there are for each type. Within this category there are 2 sub-types, solid wood and veneered wood. 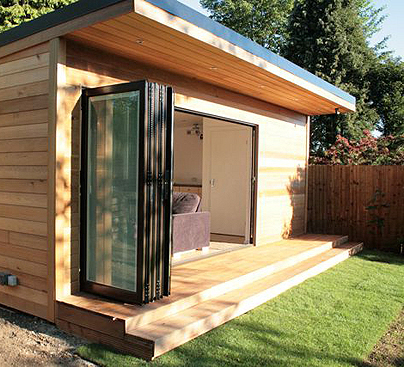 Solid wood bi-folds’ are exactly that, made from solid timber top to bottom, either in a softwood or hardwood. Veneered bi-fold doors are made from a solid timber (usually softwood) core which then has a thin layer of hardwood sealed to the surface. One more recent wood option is engineered timber, sometimes a lower cost high performance material. 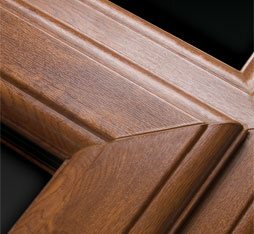 Appeal - People like the idea of, the look of and feel of timber doors, Hardwood ones especially. Price – Veneered doors are good value for money. Life span – when well looked after (particularly hardwood ones), they can last a long time. Colour choice – you can paint or stain them any colour you like. Maintenance - timber bifold doors need to be well looked after to last a long time. Painting or staining needs to be done at least yearly to keep the finish looking good. Operational Problems – natural wood reacts to the atmosphere; it shrinks when it’s dry & expands when it’s wet. This leads to warping, cracking and paint flaking. Warping & expanding causes the doors to fit badly or jam. Aluminium is a very popular option, and not the old cold nasty stuff from the 70’s. Modern Aluminium bi-fold doors look great, last a very long time, are very secure and also properly energy efficient. The first of these types uses solid aluminium, as you would expect, but the second only uses aluminium on the outside of the door and the inside is clad with a timber finish. Composite examples give the advantages of both materials, the durability of metal exteriors and the natural look and feel of timber on the inside. An added bonus to having timber on the inside is that you can paint or stain it to any colour you want. Life span – they last for ages; you could get at least 20 years out of the door if you look after it. Maintenance – they don’t take a lot of looking after. Keep them clean & keep the moving parts lightly lubricated, check the seals once a year and that’s about it. Colour – with most suppliers offering around 100 colours, the choice is almost limitless. Energy efficient, secure – designed to meet modern standards, they keep you warm in winter, cool in summer & secure all year round. 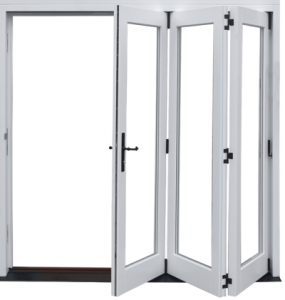 Public perception – many consider aluminium to be cold & industrial, when these doors are the complete opposite. Cost – aluminium bi-fold patio doors are not the cheapest in the market. As the most popular material used for double glazed windows, it was a sure bet that it would eventually be used to good effect in the bi-fold door market. Known to be cost efficient and versatile, uPVC bi-fold patio doors are firmly established as a high quality solution for those who want a top of the range patio door in their home. As with aluminium, these doors are long lasting, very energy efficient and secure. Offering all the options that a homeowner could want in terms of choice, lifespan and appearance. Cheap quality in the market – there are some awful doors out there, be careful what you buy if the price is too good to be true. 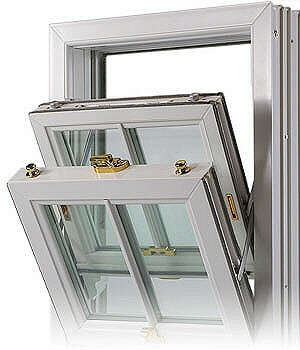 Strength – some low quality bi-fold in upvc have thin frames that can sometimes distort. Again, you get what you pay for. Which is the best bifold door? As mentioned above, each material has its own pluses & minuses. If you want the “real thing” as some folks call wood, then there is only choice between solid or veneered doors. If you just want wood inside the room, then a composite bi-fold may suit you just fine. For those who want to feel they have the “modern” look, then aluminium certainly offers this. Slim lines, “hard edges”, shiny surfaces all feature prominently with these bifold doors. But for those who want something exceedingly functional yet maintain a sleek appearance combined with value for money, then then UPVC bifold doors should be the ones to go for. Majority of prices shown are for "supply only"
How much do Timber bifold doors cost? Wall to wall panoramic views of the outside. Slim frames allow the maximum light when closed, but when opened bifold doors offer an uninterrupted vista on the world. With easy gliding rollers in top or bottom guides. It takes a minimum of effort to open the doors, which then stack neatly to the side of the room. Either to the outside or inside. Tempered or laminated glazing keeps you safe. Either of these glazing options protect the occupants. In the event of a breakages the glass stays in the frame. No sharp shards to cause injury. Mortice locks, shoot bolts and anti- jemmy tracks keep the doors secure once closed. To make things easier fit a traffic door.